Mana Pools National Park, the second biggest game reserve in Zimbabwe, is best known for its large bull elephants while also being home to black rhinos. Located in the Zambezi River Valley, the area is characterized by thick vegetation which provides camouflage for the teaming wildlife. The game park, which is a UNESCO World Natural Heritage Site, boasts a wide range of animals, including elephants, rhinos, lions, over 350 bird species and aquatic life. Sadly, the thick bushes also provide cover for poachers, and for years, Zimbabwe has been battling this scourge, which saw the elephant and black rhino population plummeting during the turn of the millennium. The vast park is a major target of poachers from neighboring countries who usually use canoes to cross the Zambezi River at night to enter the park. "The rough terrain is difficult to navigate by foot and poachers used to take advantage of this operating in the remotest area of this spacious game reserve," said Tawanda Masirirokwa who has been a ranger for the past 22 years at Mana Pools National Park. Like most African countries, Zimbabwe is struggling with elephant and black rhino poachers who sell ivory to black markets in Asian countries. In recent years, however, Zimbabwe's conservation efforts has been boosted by Chinese intervention in anti-poaching programs which has seen Zimbabwe's elephant population grow to 83,000, according to Zimbabwe Parks and Wildlife Management Authority (ZimParks). 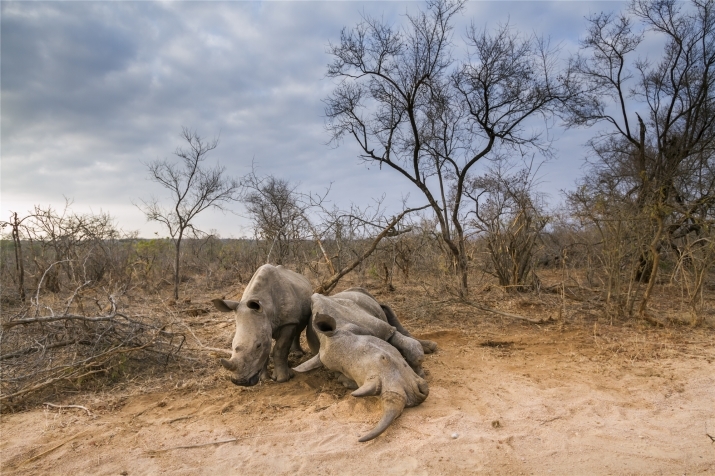 The Convention on International Trade in Endangered Species of Wild Fauna and Flora Species (CITES) has applauded Zimbabwe for its anti-poaching efforts and the reduction in poaching cases in the first quarter of this year. They put this down to ZimParks' commitment to come down hard on poachers. CITES said from January to March this year, only one elephant and a black rhino have been lost to poachers compared to 12 elephants, five black rhinos and two white rhinos, in the same period last year. "The Chinese have proved to be helpful partners in combating poaching in Zimbabwe. They provided vehicles, technology and in some insistences personnel," Oppah Muchinguri-Kashiri, Minister of Environment, Water and Climate of Zimbabwe. In 2015, China and Zimbabwe launched the Sino-Zim Wildlife Foundation, which raised resources to help ZimParks with conservation resources and to fight against poaching. Its members include Chinese nationals living in Zimbabwe. "The foundation has managed to train personnel and mobilized resources for the authority in the country. The national parks of Zimbabwe have been facing a myriad of challenges, which included under-capitalization and outdated infrastructure," added Muchinguri-Kashiri. Sino-Zim Wildlife Foundation Director Francesco Marconati said the organization has acquired vital anti-poaching equipment for ZimParks. microlight aircraft which conducts surveillance in the 2,196-square-km Mana Pools National Park. This is deterring would-be poachers," said Marconati. 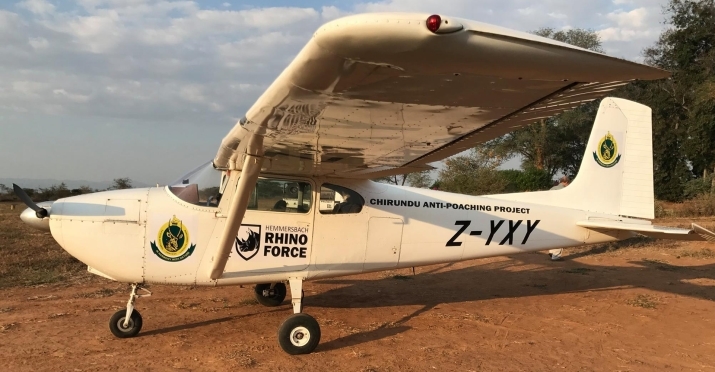 The aircraft has cameras onboard which can detect the movement of poachers and, via a connection to the foundation's control room, can direct the park rangers on the ground to apprehend them. "The aircraft has changed the way we conduct our anti-poaching patrols in Mana Pools," said Masirirokwa. The Sino-Zim Wildlife Foundation Founder Li Song said the organization was echoing the Chinese Government's position on wildlife protection and conservancy. "China is very serious and committed when it comes to wildlife protection. In 2015, the Chinese Government donated equipment worth $2.3 million to ZimParks for conservation work." Li said the Sino-Zim Wildlife Foundation has been coordinating and mobilizing support from China for conservation in Zimbabwe. To date, they already had Chinese volunteers working with Zimbabwean authorities in the area around Kariba, located in the Mashonaland West Province, on anti-poaching exercises. Wildlife in Zimbabwe was being threatened by international poachers, said Li, adding, "We have been working hard fighting poaching and illegal transportation and selling of animal products." Another Chinese organization, Blue Sky Rescue has also been on the forefront of anti-poaching initiatives in Zimbabwe. Blue Sky Rescue receives assistance from the Ministry of Foreign Affairs of China to conduct anti-poaching programs in Zimbabwe. The non-governmental organization is planning to build a permanent camp in the country which offers technological help and facilities for volunteers to conduct sustained anti-poaching activities. In addition, in 2015, the Chinese Government donated anti-poaching equipment to Zimbabwe to help it curb wildlife poaching. The equipment included SUVs, trucks, graders, tractors, mobile radios, tents and patrol uniforms for use at Mana Pools National Park and Hwange National Park. Hwange is the country's largest wildlife sanctuary and has also suffered rampant elephant poaching in recent years. "We are grateful to our Chinese friends who have constantly helped the country in its ant-poaching initiatives. We have managed several arrests because of the training and equipment we got from the Chinese," said ZimParks spokesperson Tinashe Farawo. Farawo said that a total of seven people were killed while poaching in 2017, including six locals and one foreigner. In addition, 408 people were arrested for poaching the same year. From these arrests, ZimParks were able to recover 615 items, among which were 19 rifles, 71 rounds of ammunition, 45 ivory tusks, 145 game nets, 285 snares and 50 boats. In 2016, one South African, 31 Zambians and seven Mozambicans were among 443 people arrested in Zimbabwe for poaching, according to ZimParks. Farawo said ZimParks anti-poaching efforts have been bolstered by the validation from CITES, which he believes shows they are on the right track.